exhaustive coverage of key words, and full treatment of irregular forms of verbs, nouns, and adjectives to create the most complete and accurate picture of real language available today. More colloquial usage than any other German dictionary. 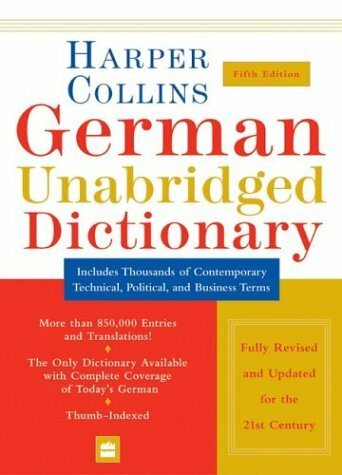 With its emphasis on current German and English, both written and spoken, including all areas of modern life and featuring regional usage, this dictionary gives you the edge in finding the correct translations.